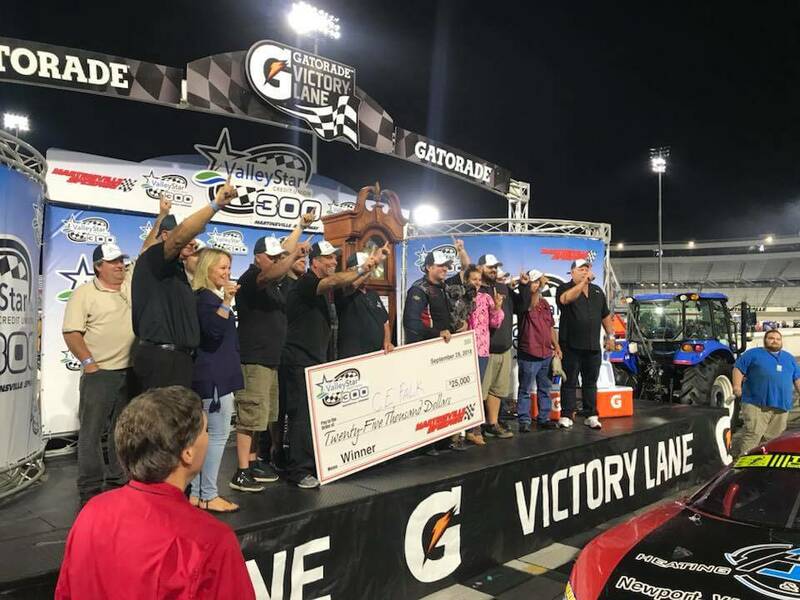 The Late Model Stock race took place at Martinsville Speedway last night. It brought a lot of drama to the 1/2-mile speedway. In the end, two different drivers felt they should have been declared the winner. The race was broadcast to anyone that had an internet connection. For me, this was the introduction to Late Model racing. They saw fireworks. There were three green white checkers at the end of the event. Each time, we saw a spin at the front of the field. Every GWC restart saw the front of the field cycle due to contact and aggressive driving. Several drivers engaged in retaliation or a show of displeasure under the caution period. Josh Berry was sideswiped under yellow. Moments earlier, he was leading the event. After being involved in an incident, Berry passed the field under caution and filed in behind the pace car, that brought out the black flag for him. Pollard did just that and the officials granted his request, at least for a moment. No punches were thrown. The officials let them talk it out. However, the crews got into the scene and a little pushing arose from the dense pack of humans. Pollard was then ejected from the speedway. After the third green white checkered ended in the inevitable crash, there seemed to be mass confusion. Even though the race wouldn’t be restarted, NASCAR red flagged the race to sort out the running order. Then, as the cars began to roll, it looked like they were about to restart the race. Maybe it wasn’t over? Nobody knew, not even the officials. If they did restart, that would have been a format that was different from the rulebook. After coasting, the cars came to a stop behind the pace car as NASCAR looked tried to sort out what the plan was. Then, the flag man brought out the checkered. The cars were going to finish under caution. The pace car began rolling again. They were going to finish it under yellow. Suddenly, the pace car came to a stop in turn four, just in front of the finish line with the finishing flag in the air. Moments later, the pace car began rolling again. This time, the race leader, C.E. Falk III had trouble getting his car re-fired. A few seconds later, it did. C.E. Falk III coasted across the finish line to take the win. There’s going to be a lot of talk about this one for awhile…. “I couldn’t believe we were in this position. Martinsville is just so nuts,” C.E. Falk III to MRN after the race. “I’m definitely mad about it,” Corey Heim stated to MRN. “We had a rule in place to make three attempts at a green/white/checkered. 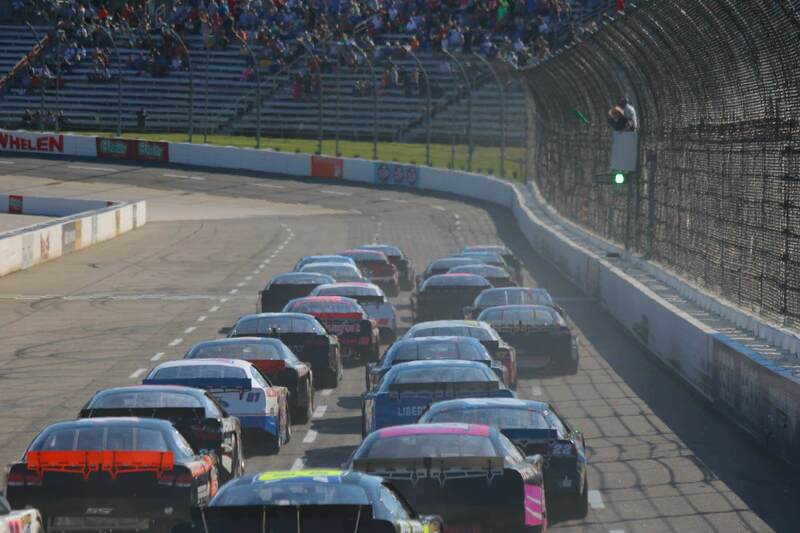 We were on the third attempt,” race director Lynn Carroll explained in the Martinsville Speedway media center. 31. 5 Dexter Canipe, Jr.
38. 27 Tommy Lemons, Jr.